The existence of a large ‘iPad Pro’ has been discussed for quite some time now. It’s widely accepted that Apple is planning on adding to its existing iPad lineup by building and unveiling a larger ‘Pro’ model, that would be predominantly aimed at business consumers and educational institutes. We accept that the larger tablet is real, more so after the latest discovery of an iPad identifier in data logs, but when is it coming? 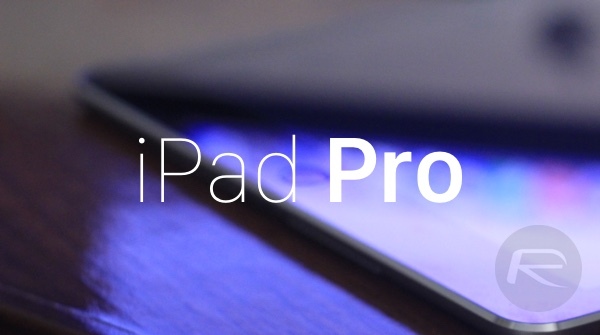 Well, according to a new prediction by prolific predictor Ming-Chi Kuo of KGI Securities, the Pro version of Apple’s iPad will definitely enter into mass production before October ends. 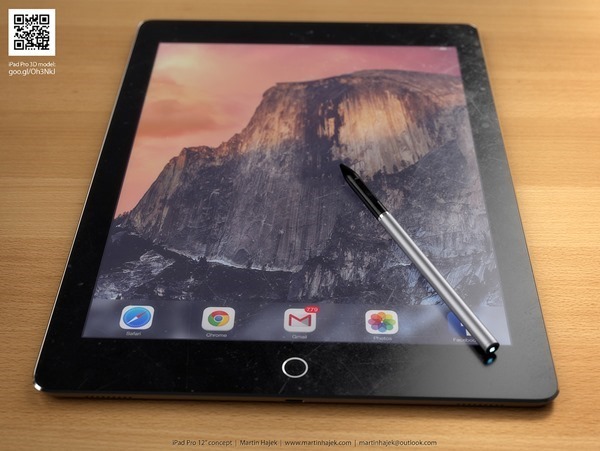 The biggest change brought forward by any iPad Pro, will of course be the larger form factor. The device itself is expected to keep the extremely thin profile that was introduced with the iPad Air 2 and predicted to filter down to the next-generation iPad mini 4. The additional size will reportedly come in the form of a 12.9-inch Retina display which Apple hopes, will appeal to business owners and those within academia, be it students or education professionals. It was just two months back when a code in iOS 9 beta 1 revealed the existence of an iPad bearing the 2732×2048 resolution based on Apple’s “@2x high-resolution modifier”. If there’s still left an aura of doubt regarding the device’s existence, a mobile analytics firm has today discovered an iPad identifier coded “iPad6,8” in its logs, and they seem to confirm this screen resolution for iPad Pro. As for the prediction from within KGI Securities, they are also suggesting that any introduction of an iPad Pro would be accompanied by an optional Force Touch-enabled stylus. Additionally, it’s also being suggested that the stylus will be offered as a means of allowing users to navigate with greater efficiency around the larger surface area of the 12.9-inch tablet. Kuo and his team not only expect the iPad Pro to be in mass production before the end of October, but have also stated that they expect Apple to get as many as 3.5 million sales of the larger iPad. They don’t however expect 100-percent of those consumers to take up Apple’s offer of an accompanying stylus accessory, predicting approximately one million sales of the rumored accessory. Mass production of the device during either September or October, would allow the Cupertino based company to have the iPad Pro on physical and digital shelves in time for the lucrative holiday shopping season later this fall. So what makes it pro? I assume the new iPads will all have force touch and if stylus is optional it will probably work on all ipads so it sounds like it’s exactly the same as the other iPads (the refresh models) but bigger. How does that warrant a “pro” label? Just on iPad and pro use. We have to pdf all our office files to our guys who use iPad at our work because it never displays them right or it lags so bad when moving through the document. If they really are targeting business users they need the device to be able to munch up Microsoft office files properly and quickly and be able to run excel etc natively with all formula in tact and running dynamically. Let’s be honest no one uses Apple attempt at an office suite, it’s way to basic and doesn’t integrate into anything. iPad at work is awesome for churning through emails and very convenient for taking into meetings. I lasted about a month. However due to its poor office performance, slow touch typing I opted out of having an iPad for work meetings and I take my dell xps laptop everywhere. Had the option of MacBook Air but Office on Mac is absolutely terrible. I agree with you, however, maybe give Office 2016 a shot? Maybe Apple should install a full OS like everyones favorite, Windows, has be doing for years now. Behind the times Apple. A full OS would warrant the Pro namesake. For everyone out there looking to սոⅼοсking AT&T phones, you can google just google atttiphoneeuunlocking, we are able to ՍΝᏞΟᏟΚing all of the model current, including the most recent 6S and 6C.